Experience a ride like no other with the Victory Sport, which offers versatile features and the fastest speed in the Victory Series. 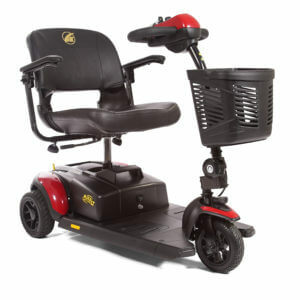 Cruise at speeds up to 8 mph and experience one-hand, feather-touch disassembly for quick transport. Experience a ride like no other with the Victory Sport, which offers versatile features and the fastest speed in the Victory Series. 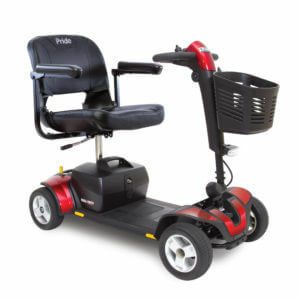 Cruise at speeds up to 8 mph and experience one-hand, feather-touch disassembly for quick transport. Front and rear suspension ensure a smooth ride and a high-back, reclining seat offers maximum comfort. Enjoy the safety and convenience of directional signals and a long-lasting, LED headlight. A unique, sporty design completes the package, making the Victory Sport the perfect choice for your active and busy life. 350 pound capacity.